Helga Björk Eiríksdóttir, Chairman of the Board of Directors of Landsbankinn, stated, “The building designed by Arkthing and C.F. Møller is beautiful and harmonises with the environment. We consider that it will fit the cityscape splendidly and be a valuable asset to Landsbankinn. The proposal is well suited to the bank's operation and is in line with the conditions set out earlier in the process. We look forward to collaborating with the team from Arkthing and C.F. Møller on the building's final design. We also thank other architect teams for their interesting and professional proposals”. 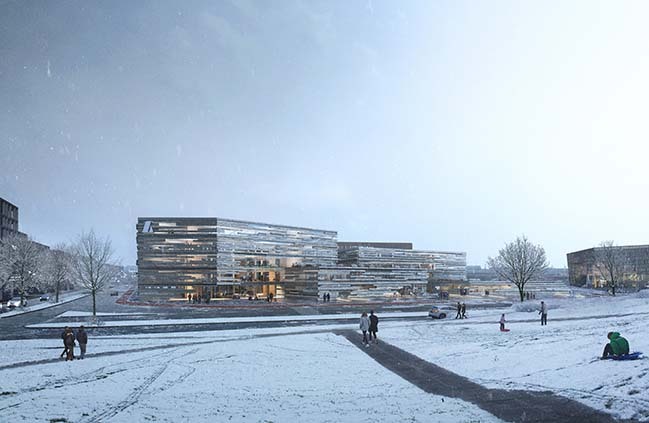 The building is intended to be a house for the whole city, looking to connect with Reykjavik's citizens and historic urban fabric. Internally, the bank's office spaces are placed into four complex houses. 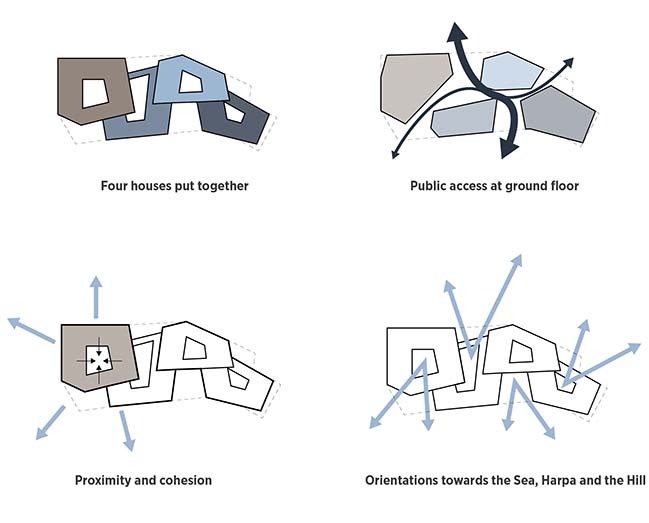 The different houses come together to function as one rational building, adapted to the site and oriented towards key views to the sea, Harpa Concert Hall and Arnarhóll Park, a significant gathering place in Reykjavik. The two tallest houses host internal atria, ensuring daylight deep into the structure, with the two lowest houses providing ample glazing and connections to external terraces and gardens. The internal organization of the building is aligned with Landsbankinn’s vision of a living and outward-looking public realm which interacts with and includes the entire city. The majority of the public functions are located on the ground floor and along the building's façade, activating a new pedestrian street leading to Harpa Concert Hall. Internally, a sheltered public passage links these new facilities, becoming a new natural shortcut in the city. Klaus Toustrup, CEO, Partner and Architect at C.F. Møller said, “The vision of the building is to support Landsbankinn's values and ideals of being in close interaction with the outside world. 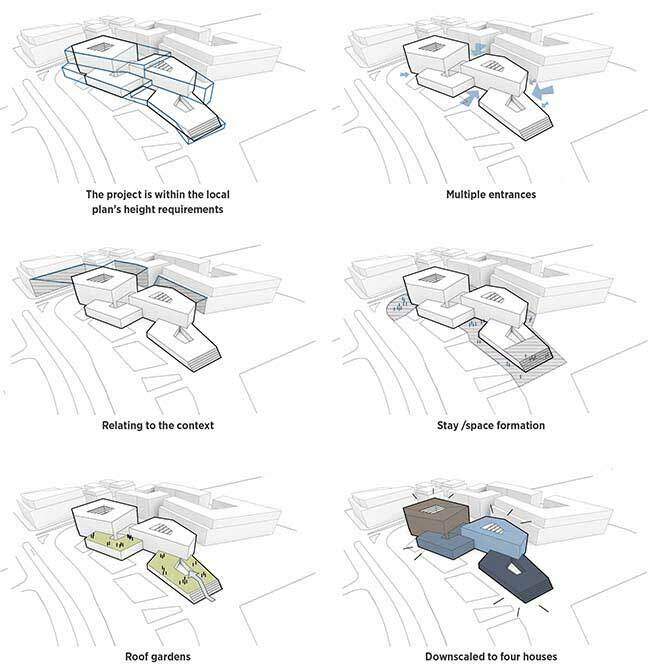 We solve this by creating a site-specific, eventful, flexible and efficient building that becomes an ‘everyday landmark’ for Reykjavik as the city's bank - the city's house”. The designs of the work spaces are primarily founded on a desire to provide the greatest possible flexibility. It became important to secure an arrangement which can support different work processes and relationships, allowing for future internal reorganizations. The office spaces are therefore designed as a flexible, efficient and open workplaces, which allow for change over time. These spaces can host offices for employees with special needs, multi-person rooms, flexible communal spaces and meeting rooms, adapted depending on the needs. Lilja Björk Einarsdottir, CEO of Landsbankinn, said, “We are relocating the bank's operations to much smaller, more efficient and fitting premises. 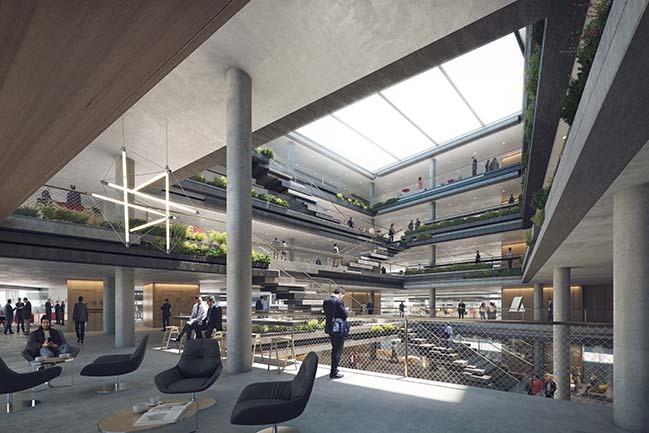 One of the main virtues of the proposal is that work spaces are ideal and internally linked, which promotes a modern work environment that focuses on project-based work facilities. The building is a well-designed office and commercial space and those parts of the building intended for rent or sale have been successfully solved. It is important that the organisation of the building is flexible and allows for moulding of the facilities to changes in the bank's operation. This is an investment for the future". 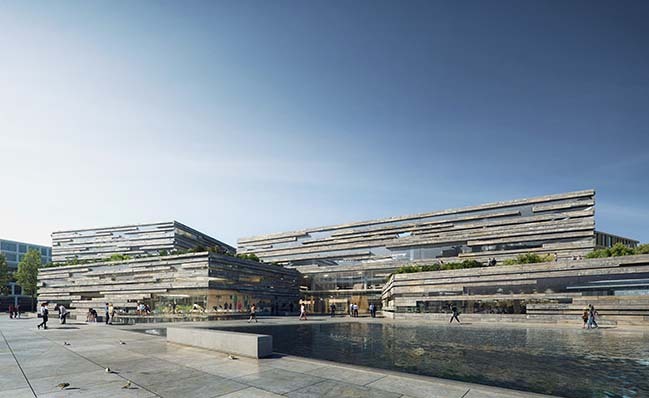 The facade is primarily composed of two materials, glass and basalt. Inside, one will also find elements of Icelandic nature. In the foyer, a skylight opening is formed in Basalt stone, and in the atria, the horizontal bands of the terraces are expressed in in-situ concrete, referencing Icelandic rock formations. This raw material expression is contrasted by daylight and warm wooden elements to create a dynamic working environment. 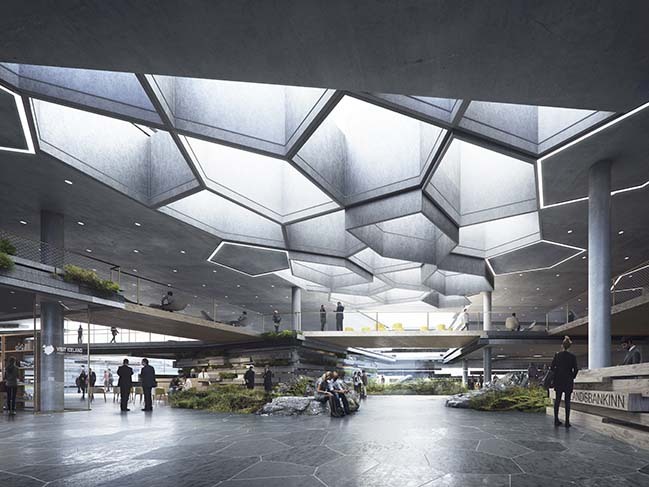 Helgi Mar Hallgrimsson, Partner and Architect at Arkthing said, “The goal is to design a building with a unique and architecturally strong inner and outer appearance. At the same time, focus is placed on ‘budgetary control’, and we do not see quality and sensible construction costs as an opposite”.